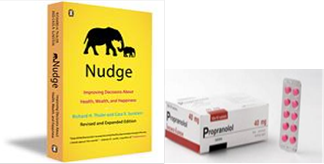 Nudge Drugs: should the social side-effects of medications weigh into public health? You are a public health official responsible for the purchasing of medications for the hospitals within your catchment area in the NHS. Your policies significantly affect which, out of the serpentine lists of heart disease medications, for example, are available to your patients. Today, you must choose between purchasing one of three heart disease medications: Drug A, Drug B, and Drug C. They are pretty similar in efficacy, and all three have been being used for many years. Drug B is slightly less expensive than Drug A and Drug C, but there is emerging evidence that it increases the likelihood that patients will take “bad bets,” i.e. make large gambles when the chance of winning is low (and thus might contribute to large social costs). Drug C costs a tiny bit more than Drug A, but there is some evidence that Drug C may help decrease implicit racial bias. You have been briefed on the research suggesting that implicit racial bias can lead to people making choices that consistently and unintentionally limit the opportunities of certain groups, even when all the involved parties show explicit commitments to social equality. Finally, there is emerging evidence that drug A both helps people abstain from alcohol and dissociates negative emotional content from memories. Which drug should you purchase? Let us begin to think about this question through the lens of the idea of the “Nudge,” which has exploded onto the public sphere (and blogosphere) since Thaler and Sunstein’s published their book, “Nudge: improving decisions about health, wealth, and happiness.” (see the blog here). 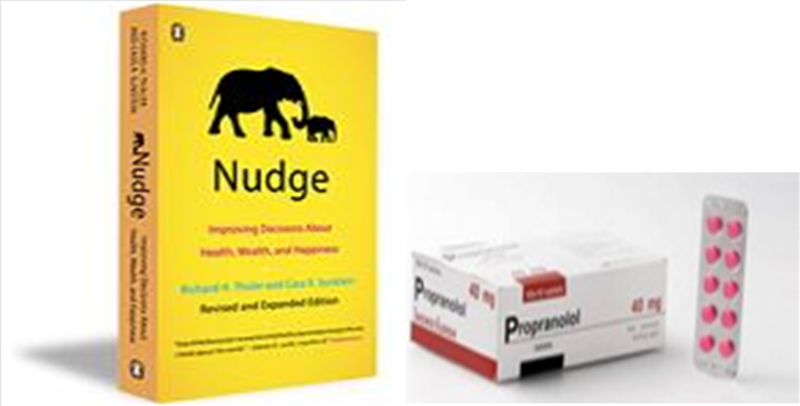 I briefly and incompletely introduce nudges here, in hopes that we may soon move on to discuss the kind of “nudge drugs” our thought experiment considers.